There are quite a few instant win-style live dealer games out there at the internet’s top live casino sites. Evolution Gaming has developed what is arguably the best of the bunch. Known as Dream Catcher, this money-wheel game has been designed in a way which makes it easy for any newbie (irrespective of their experience to sit down and play). Money wheels are not new. They have commonly been offered at land-based casinos for generations. A simple and easy way to wager cash, these lottery-style games can result in big winnings being paid out in a matter of minutes if, of course, lady luck happens to be with the players. How to Play this Exclusive Game! 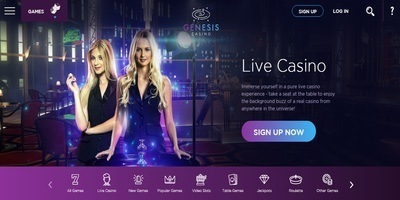 Like any live dealer games, Dream Catcher is streamed directly to a player’s phone, tablet or computer from Evolution Gaming’s live casino studio. Gameplay usually takes around 45 seconds, so this is one of the faster online games a player can find. The gameplay involves betting on the outcome of a spin of the money wheel. Primarily, players are looking at placing a bet (ranging from 10p up to £2,000) on either 1, 2, 5, 10, 20 or 40. Should the money wheel land on the chosen bet, players can win whatever their stake was, multiplied by the amount they bet on. For instance, if a casino player bets £10 on number 10, then they will win 10x their stake, thus coming away with a £100 win. The numbers a player can bet on occupying 52 of the 54 spots on the money wheel. The other two are reserved for bonus multipliers. If the wheel stops on either the 2x or 7x multiplier, the bets are held for the next subsequent spin. No new bets can be made. If the following turn lands on a player’s chosen wager, they will win the standard amount as usual, as well as that figure multiplied by either 2x or 7x, depending on which bonus multiplier appeared. Bonus multipliers can also be landed in a row, and then multiplied together. For instance, two 7x spins in succession would mean a 49x multiplier (7×7) applied to any winnings earned on the following spin. This can potentially result in life-changing sums of cash being paid out. In which sites Can I Play this Game? Dream Catcher is one of Evolution Gaming’s most popular live dealer titles, and that shouldn’t come as a surprise, given the bonus multiplier feature it offers. 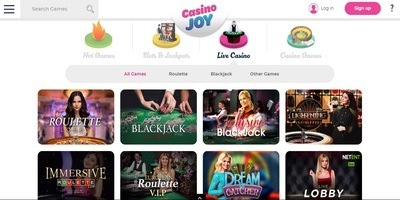 The game can be found at practically all leading live casinos running Evolution software. Some of those casinos may also offer Dream Catcher tournaments, which can often come with prize pots worth around £10,000 or more.